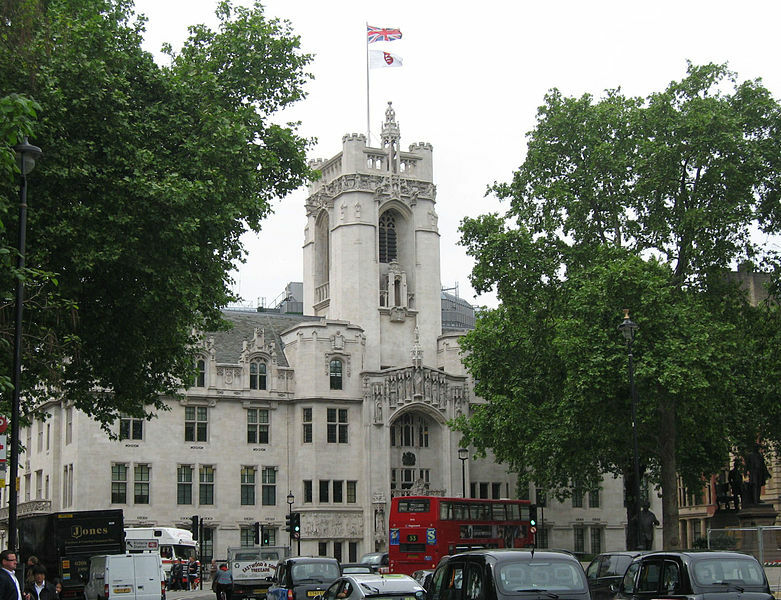 Middlesex Guildhall, location of the UK Supreme Court. Public Domain photo from Wikipedia. 3. We ministers cannot unilaterally resign, even if we give notice, because we need the consent of Conference, the Stationing Committee or a disciplinary body. “The judgement of the Supreme Court has determined that an Employment Tribunal does not have jurisdiction over Methodist Ministers. It sets out very clearly the nature of the relationship that exists and that such a relationship is defined by the Standing Orders of the Conference. It is important that we read the judgement with great care as we continue to ensure that our practices reflect the calling of the Church. What are we to make of this? While I am partly relieved by the judgement, I do not think it solves the problems our denomination clearly has. I am happy not to be an employee in that church life is vulnerable to tinpot Hitlers throwing their weight around. It shouldn’t be like that, and I certainly don’t experience anything like that in my current appointment, but I am afraid it does happen. Had we become employees, then depending on who was deemed to employ us, that was a risk. Where I am I less than happy? I admit this is more about the experiences of friends than my own story, but this leaves Methodist ministers entirely dependent upon the ‘covenant relationship’ with the church, and no protection if that goes wrong. I know of instances where ministers have been left exposed to abuse, and where there has been no redress. One commenter on the UK Methodists page of Facebook describes the covenant relationship as an ’empty promise’ and calls for a system of independent arbitration. Essentially, the church – should it so choose – is free to sweep uncomfortable things under the carpet. There is certainly now a risk that things could be loaded against ministers. I do not know whether this is true, but there is one other comment (which I can’t immediately find again) suggesting that only ministers ‘in stationing’ (i.e., looking for a new appointment) who are unwilling to put any geographical restrictions on where they serve will be guaranteed a manse and stipend if no appointment can be found for them. We are supposed to be at the disposal of Conference for stationing, it is true, but that same Conference promises to bear all sorts of personal circumstances in mind. Geography is by no means the only limit some ministers request. Tonight, there will be some ministers feeling a sense of relief at the judgement, and others feeling more vulnerable and afraid. I can certainly understand those of my colleagues who have joined the Faith Workers’ Branch of the Unite union. It certainly seems uncomfortable that our denomination has shown no willingness to let the ‘covenant relationship’ be scrutinised by outsiders, so that justice is not only done, but seen to be done. The point of the ‘covenant’ language is that there is a mutual covenant between church and minister. Ministers give up a home to go where the church stations them; in response, the church provides a stipend (a living allowance – not a salary) and a manse. In court the Methodist Church tried to invoke Human Rights law to the effect that religious conscience should have prior claim over employment law. The Appeal Court called this ‘moral poverty’. It appears that the church has added things to the covenant from the world of secular employment, such as appraisal, supervision and holidays, and these are now regarded as evidence by the courts in support of ministers being in a contractual situation, in addition to or instead of a covenantal one. The covenant is good when it works. However, it can go wrong on either side. A minister can be treated badly by a congregation, circuit or other body; equally, a minister can mistreat a church or individuals. I do not know what happened in Mrs Preston’s case, and even if I did it would be wrong to comment, especially when the legal process has still not finished. Clearly, though, she feels aggrieved. However, it is a tragedy when Christians have to invoke the law in order to deal with each other, something Paul told the Corinthians in his First Epistle to their shame. At this point I simply want to tease out the pros and cons if ministers do end up being treated as employees. In favour is the fact that it would open us up to clear protection in employment law. It might also make things clearer in cases of incompetent or abusive ministers. Against is the notion that some people would want to tell ministers explicitly what they should be doing, in ways that go against the historic notion that the stipend frees ministers to pray and seek God’s direction for their work. The introduction of the ‘Letter of Understanding’ that circuits give to ministers when an invitation to serve in a new circuit is accepted has pushed in this direction: some circuits start to get quite precise about their expectations of the minister. While accountability is important, it will be hard to be a leader if those we are trying to lead think they can tell us what we should be doing. Furthermore, should the position be confirmed that we are employees of the church, we shall need to resolve exactly who or which body in the church is our employer. The fears described in the last paragraph could be very real if the employing body was very local. If, on the other hand, it was the Methodist Conference itself, there might be more opportunity for proper safeguards and procedures. It is not that all local lay leaders are dangerous – far from it! – but lack of knowledge, experience and skills could be dangerous. There is a fascinating (but increasingly complex) discussion of this issue going on at the UK Methodists page on Facebook. In the wider context, the trade union Unite (which represents such ‘faith workers’ as join it) has been campaigning for a few years now for ministers to be given the same rights as employees. That may not necessarily involve us becoming employees, but being entitled to the same protection. There is a paper explaining their position here. This is going to run and run, in some form or another. Whatever the final conclusion, it will massively change the relationship between ministers and their congregations. My gut feeling is that it will end with ministers becoming employees in some form or another, because – as has been said on the UK Methodists Facebook page – the courts are increasingly taking the line that ‘if it looks like a duck and it quacks like a duck then it is a duck.’ It is hard to know what fundamental doctrinal reason we could have for resisting employment status, but if we go that route we shall have to be careful and we shall need to be proactive in developing what that relationship could and should be in line with our convictions.